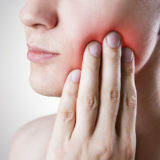 Gum disease is a serious issue that affects many individuals. However, fewer people could suffer if they took the time to prevent gum disease earlier in. Part of the problem is that individuals, perhaps including yourself, do not realize all the problems that gum disease can cause. If you speak with your general dentist, you will learn that gum disease can cause pain and discomfort in your mouth. Instead of enjoying all of your favorite foods, for example, you may have to curtail your diet. You may even discover that you have trouble speaking if the diseases progresses significantly. Gum disease is a condition in and of itself, but it can also introduce your mouth to even more diseases. When you have gum disease, you are inviting bacteria and disease into your gums. As these infections creep in, you can find yourself in an even more deleterious state of health than when the gum disease began. The problems with your gums can allow disease to creep into your mouth, and you may end up with more conditions. Once your gums are open to an array of diseases, so is your body. You are inviting disease to travel through the streams of your blood. Think about where the blood in that stream goes, and you’ll recognize that disease can make its way to your vital organs. Gum disease can actually have fatal consequences. That is one of the reasons why taking care of potential gum disease is so important; you do not want to fall victim to such issues. 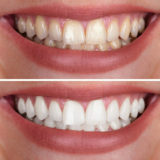 Of course, you want to make the physical problems at the heart of your gum disease concerns. Still though, the way that you look is affected by gum disease. You may find that you are timid about smiling in pictures or greeting your friends with a big grin because of how your gums look. Therefore, working to prevent it and address can help to restore your confidence. If you think you might have gum disease, you need to speak with a general dentist as soon as possible. Even if you do not currently see signs, work to prevent the disease from ever manifesting in your life. Scheduling an appointment with a professional at our practice is possible by calling now. nextDental Implants: Are They Right for You?